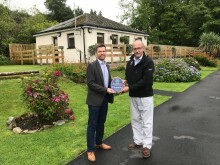 A bed & breakfast in Perth has achieved VisitScotland’s highest quality award for accommodation. The Townhouse, which is co-owned by Laurent Moller and David Henderson, has secured a five star gold grading from the national tourism organisation. 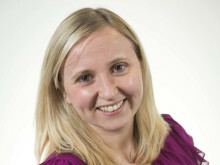 VisitScotland’s five star gold Quality Assurance Award recognises serviced accommodation businesses which achieve the highest levels of excellence. Businesses that achieve the award excel in areas of customer care and hospitality. Having spent 26 years working in the hospitality industry managing luxury hotels a coffee roasting business in St Barts in the Caribbean, Laurent and David moved to Perth and bought the Georgian property in 2012. They remodeled the property to create a ‘small but special place’ where they can offer a warm welcome to people from around the world. The Townhouse’s traditional Georgian terraced property offers comfort and exceptional service while boasting a wealth of attractions within the city and surrounding countryside. 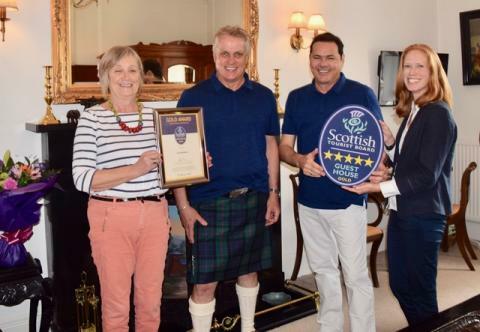 David Henderson and Laurent Moller, co-owners of The Townhouse, said: “We are delighted that our continuous hard work and commitment to deliver a first-class experience to our guests has been acknowledged and rewarded with the highest accolade available from VisitScotland – the gold star award. We constantly strive to deliver a world class experience to all of our guests and to be ranked among the top establishments within Scotland is a real honour for us. ward, The Townhouse has also achieved a VisitScotland Taste Our Best Award for sourcing high quality local produce for their breakfast offering. The Taste Our Best Award recognises businesses who are committed to serving and promoting high quality Scottish produce and aiming to drive up quality in tourism products across the country. Taste Our Best helps to provide businesses with an assessment of their food provision and their menu by qualified assessors, with those meeting the necessary criteria gaining the award. The VisitScotland Quality Assurance scheme, which has been developed and improved over 30 years, provides visitors with an independent, impartial and trusted guide to standards. Delivered by a dedicated team of experts who offer scheme members advice and support on how to not only meet visitor expectations but exceed them, the scheme aims to drive standards and encourage excellence whilst helping businesses reach their full potential and secure their success. That in turn delivers great results for Scotland’s tourism industry and economy.